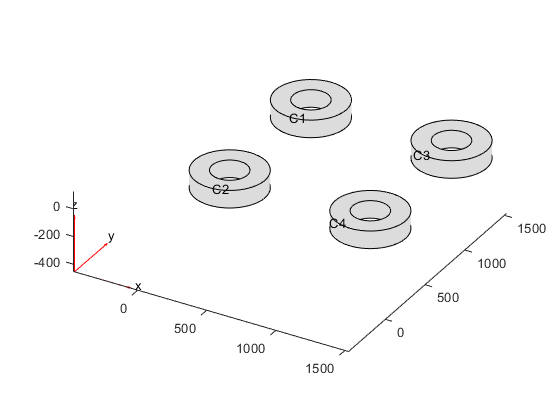 pdegplot(g) plots the geometry of a PDE problem, as described in g.
pdegplot(g,Name,Value) plots with additional options specified by one or more Name,Value pair arguments. h = pdegplot(___) returns handles to the graphics, using any of the previous syntaxes. Plot the geometry of a region defined by a few simple shapes. 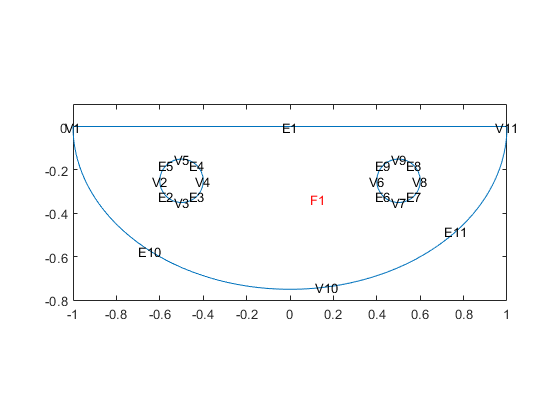 View the vertex labels, edge labels, and the face label. Add space at the top of the plot to see the top edge clearly. Import a 3-D geometry file. 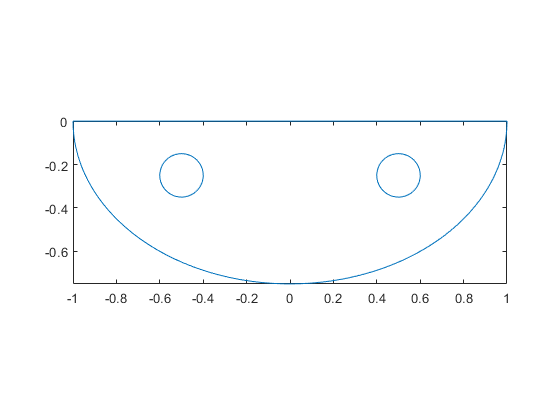 Plot the geometry and turn on face labels. To see the labels on all faces of the geometry, set the transparency to 0.5. Import a 3-D geometry file. Plot the geometry and turn on cell labels. The argument SubdomainLabels is not recommended. Use FaceLabels for both 2-D and 3-D geometries instead. Vertex labels for 2-D or 3-D geometry, specified as 'off' or 'on'. Boundary edge labels for 2-D or 3-D geometry, specified as 'off' or 'on'. Boundary face labels for 2-D or 3-D geometry, specified as 'off' or 'on'. Cell labels for 3-D geometry, specified as 'off' or 'on'. 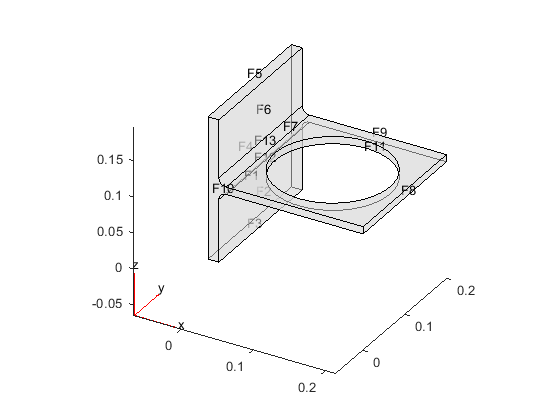 If you create 2-D geometry in the PDE Modeler app, you can view the geometry from Boundary Mode. To see the edge labels, select Boundary > Show Edge Labels. To see the face labels, select PDE > Show Subdomain Labels.